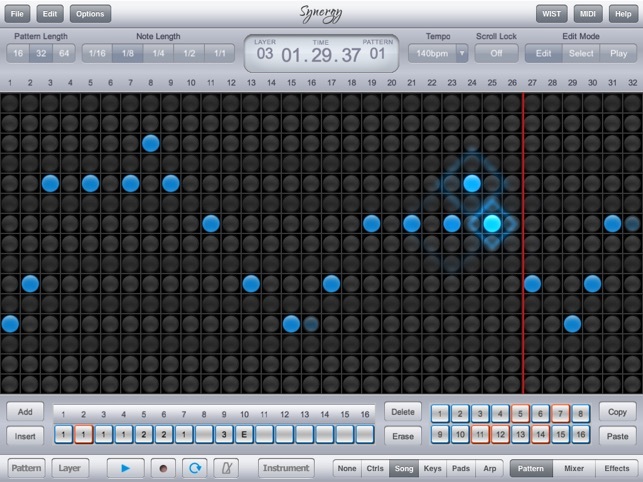 You can add multiple layers to your patterns by selecting different instruments for each layer. As you build up your layers you can create intricate musical patterns which can be chained together into a song. By switching to the fully integrated mixer and effects options you can take your patterns to a professional level. 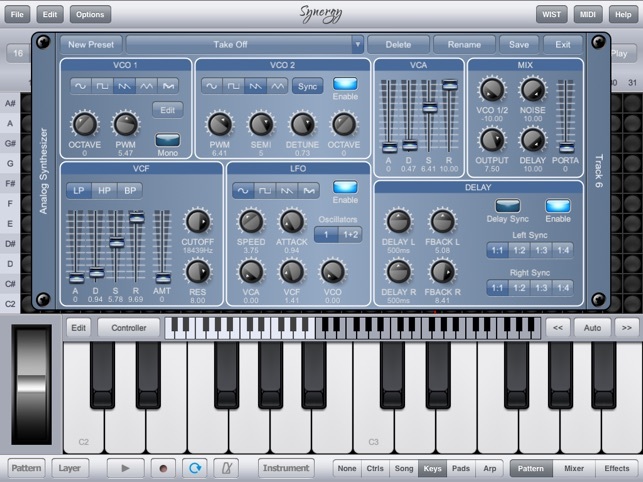 There are four main instrument categories to choose from: Drums, Analogue Synthesizer, Sample and Pad Synth. Each category contains different types of instruments. 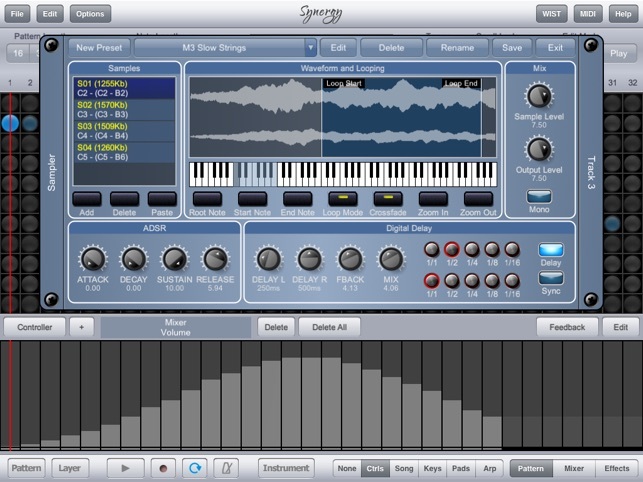 Further instrument packs are available in the Synergy’s free sound library or as In-App purchases. 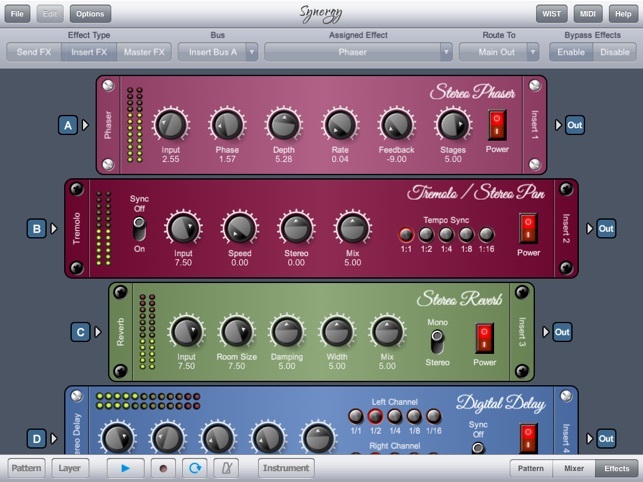 Synergy Studio is from 4PocketsAudio.com, the creators of Meteor Multi-Track recorder and StompBox guitar effects rack, which featured in Apple’s iPad 2 TV commercial in January 2012. • Choose your pattern length from 16, 32 and 64 notes. • 11 Drum Kits, 42 Analogue Synth instruments, 55 Sampler instruments, 21 Pad Synth instruments. 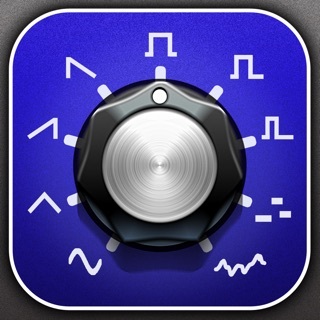 • Further instruments available from free Sound library and in-App purchases. • Edit existing instruments to create new ones and save them to use again. • Easily connect and interact with other MIDI controls. • Fully integrated mixer and effects unit available. • 3 BAND Parametric EQ on each of the 16 layers to control the tonal content of a layer. 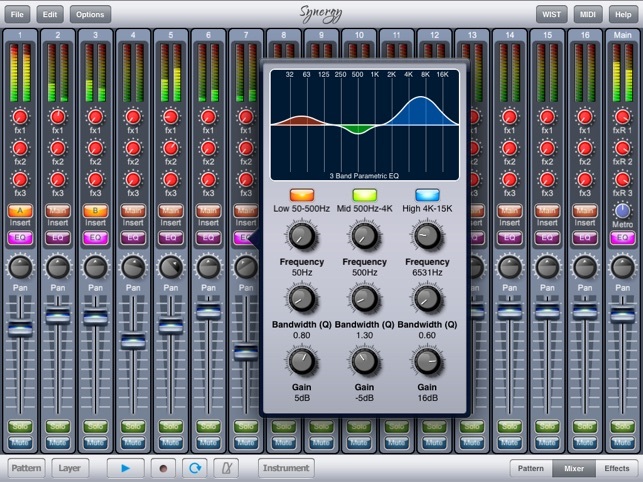 • Automate panning, fading and effects using the mixer. Fixed an issue with push notifications.